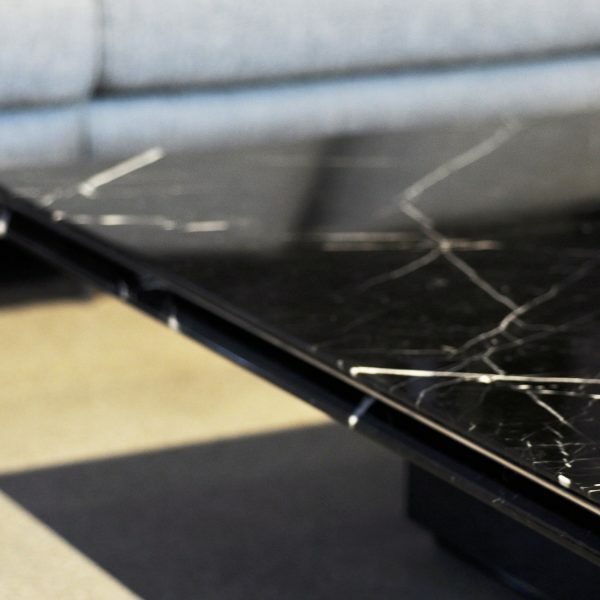 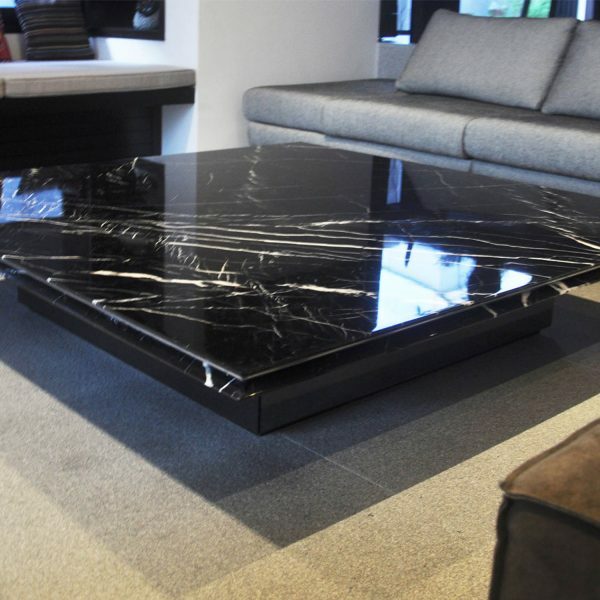 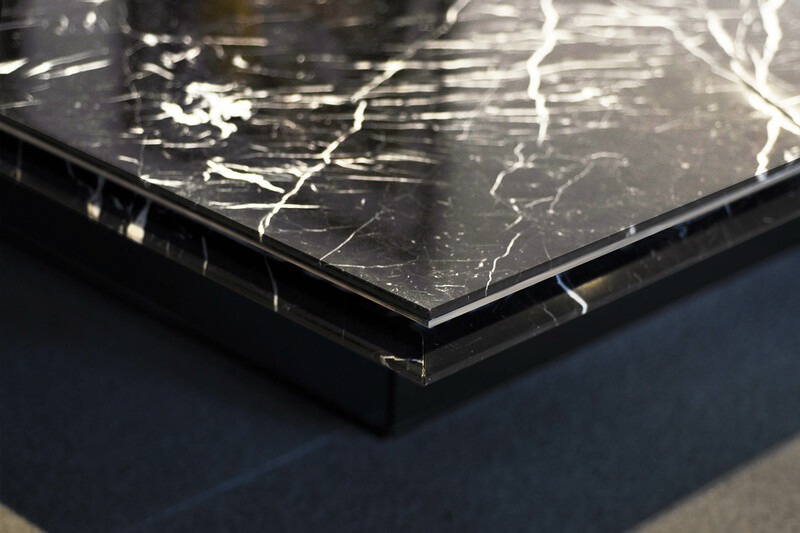 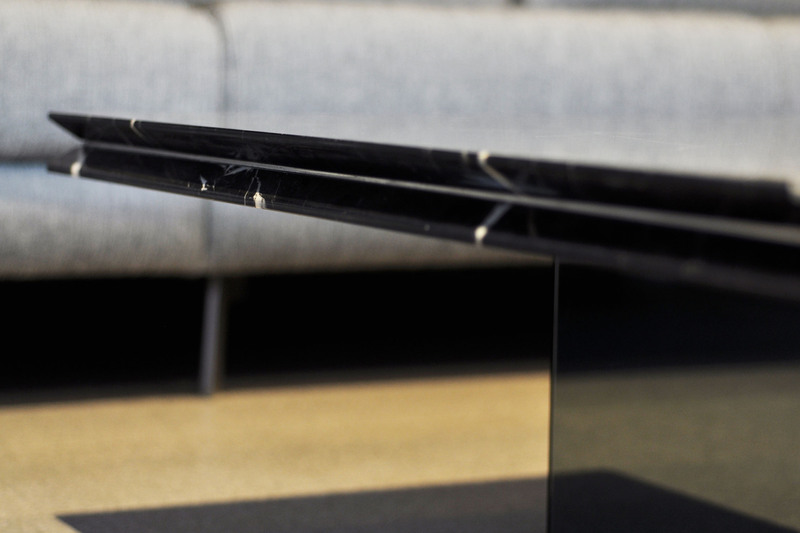 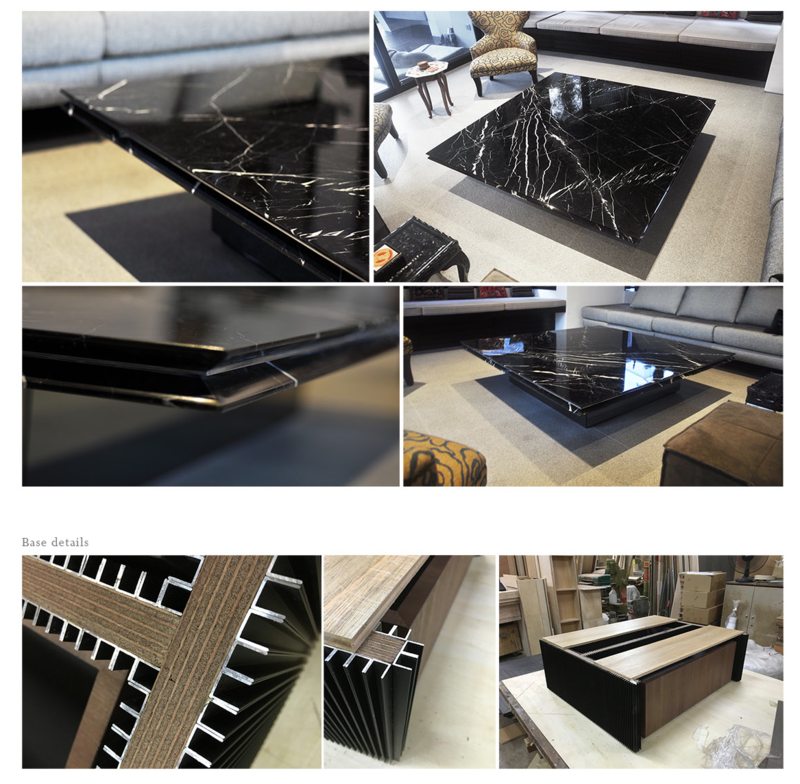 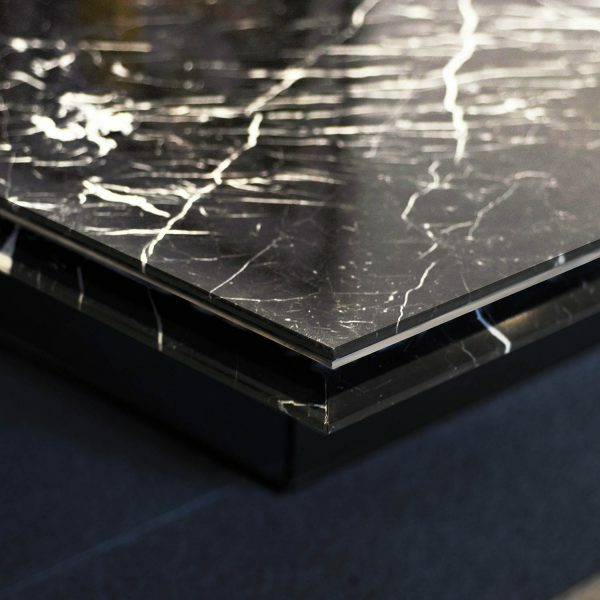 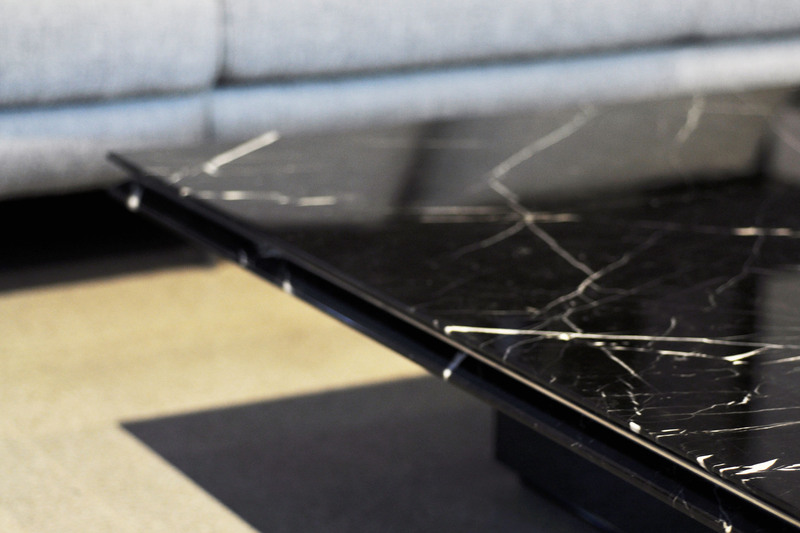 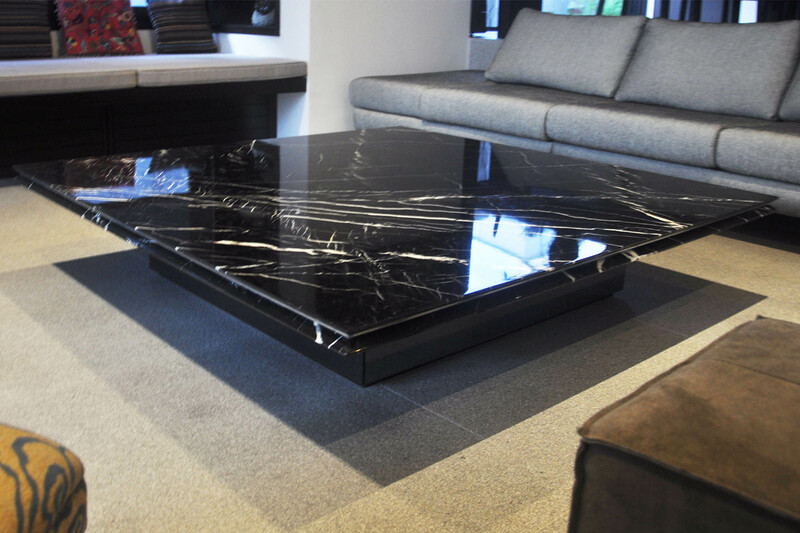 Polished Italian black marble (Marquina) top with our signature chamfered edging and stainless steel insert. 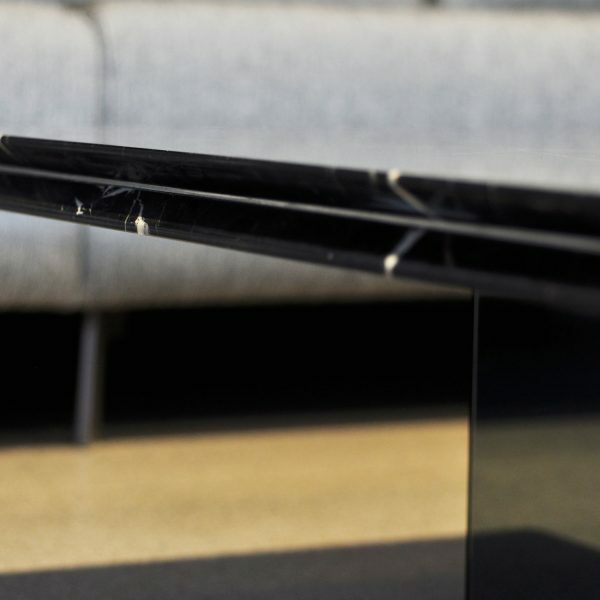 Two sided movable storage compartments below in walnut veneer finish. 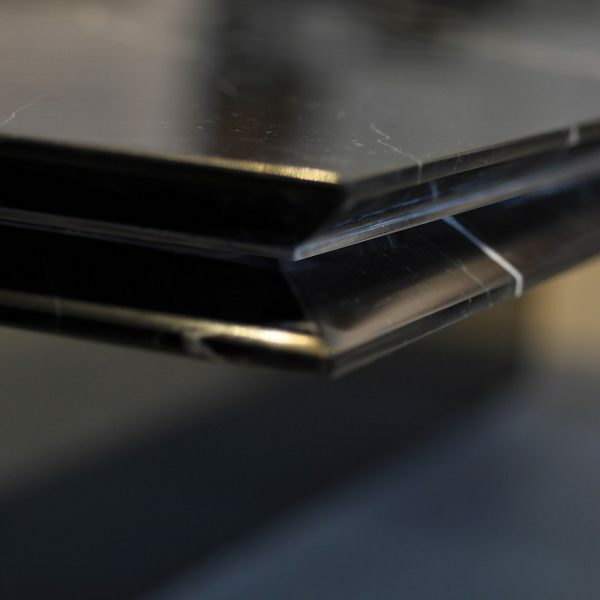 Base clad in natural anodised aluminium groove panel. 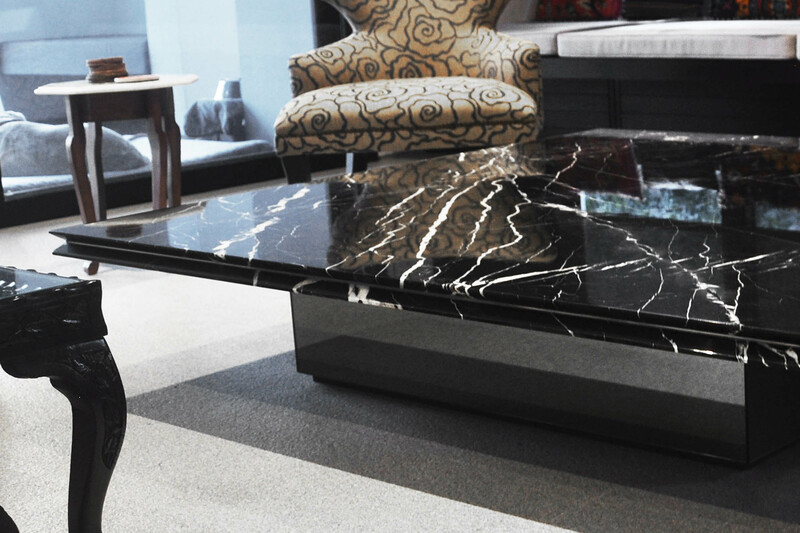 Also available in white marble finish with smoked mirror clad base. 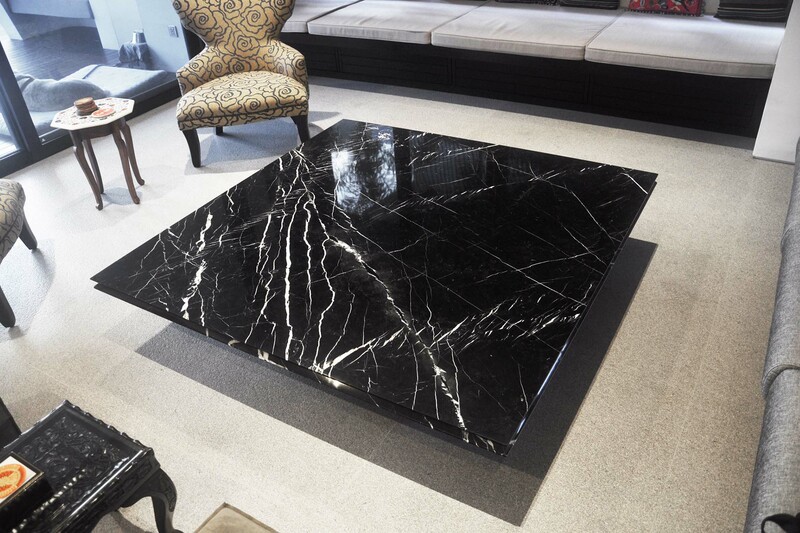 Italian black marble (Marquina) polished finish with our signature chamfered edging with stainless steel insert. 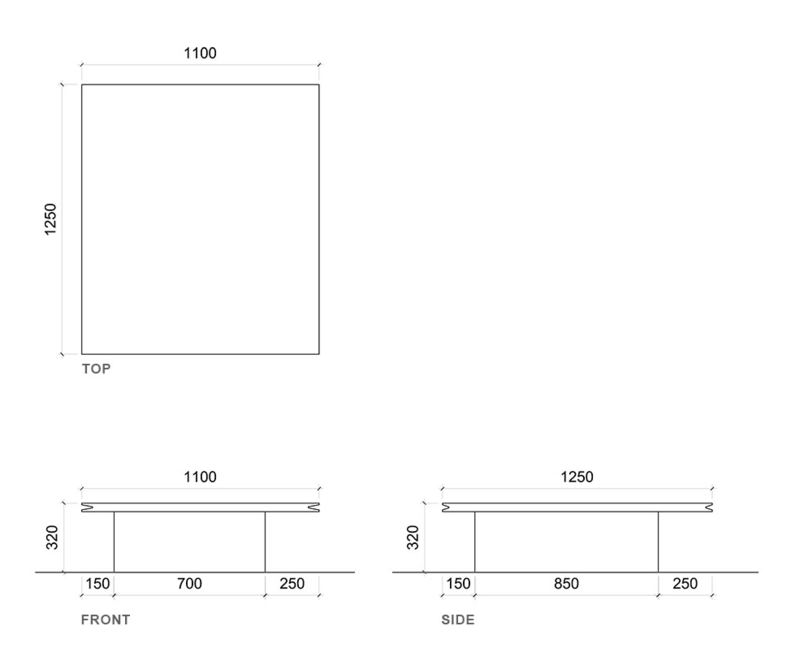 Two sided movable storage below in walnut veneer finish. 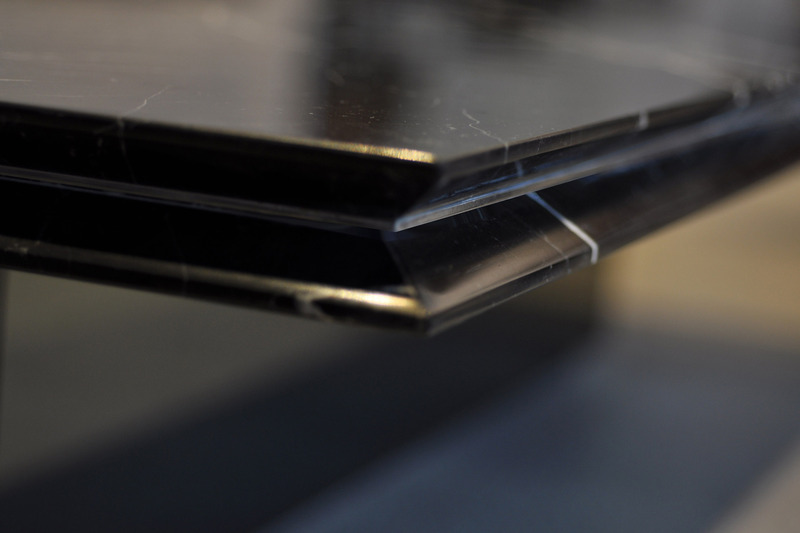 Base clad in natural anodised aluminium groove panel. 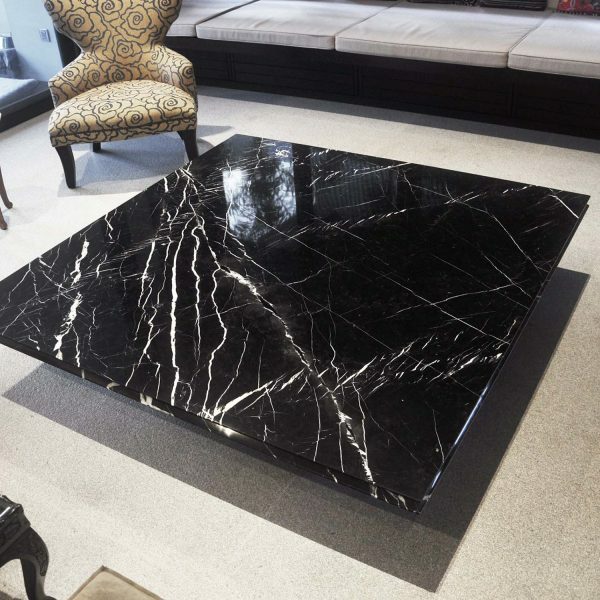 Also available in white marble finish with smoked mirror clad base. 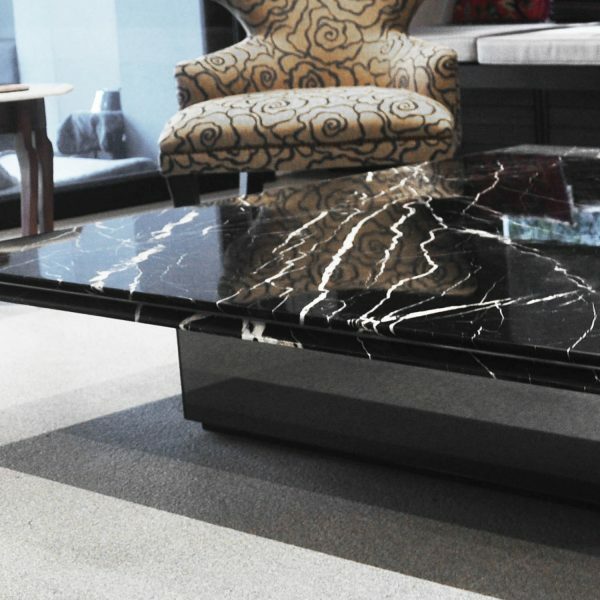 Also available in white marble finish with smoked mirror clad base.